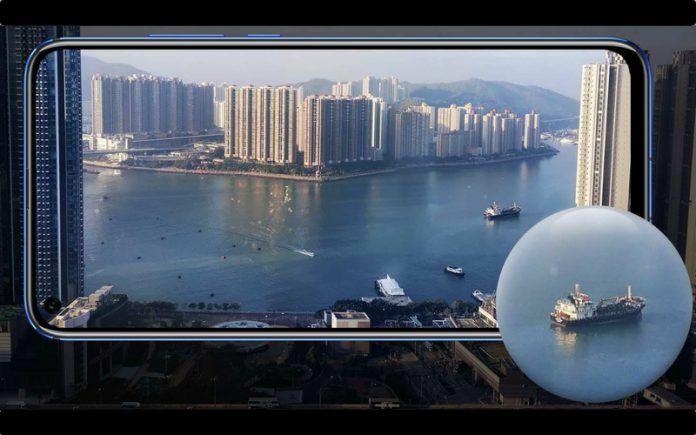 The Honor View20 is set to become the first smartphone in India with a 48MP camera and a front camera cutout. The company has announced a partnership with Amazon for the launch. The device, which is essentially the Honor V20, is set to go on sale in China tomorrow, i.e. December 28. Amazon has put up a Notify Me page and will be selling the product as an Amazon exclusive, although, it will be interesting to see how that pans out, given that the Government of India has recently announced new rules for e-commerce, barring exclusive tie-ups. Here, read all about the device, and the price tag we expect it to carry. Until now, if you wanted a superb camera phone with new-age technology, you had two options: the Huawei P20 Pro and Huawei Mate 20 Pro. Both of them get triple-rear cameras, with the primary sensor being 40MP. Now, the same company’s sub-brand Honor will launch the new device in India, with a dual-rear camera that gets a 48MP primary sensor. So, it is quite clear that Huawei, with its sub-brand Honor, is winning the camera phone game in India. 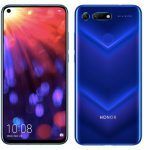 On Amazon, you can now enter your email ID to get notified about the launch date and pricing details of the Honor View20, and also check out some of the best features of this device. Click here if you want to check out the Notify Me page for Honor View20. 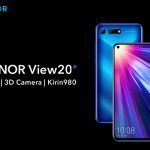 The features of Honor View20 detailed on Amazon correspond with the features of Honor V20 as unveiled in China. The device has a 25MP front camera, which Honor is calling ‘in-screen’ camera, and flaunts a 6.4-inch LCD ‘all-view display’. There is a very thin bezel running around the screen and it develops into a narrow chin, but casually the phone can be called bezel-free, although, that would be technically incorrect. The in-screen camera is on the top left corner of the display, so you have no notch or bezel on the top. There is a small grill on the top-centre of the front panel serves as the speaker for calling. With a 91 percent screen-to-body ratio, the device joins a motley club of smartphones such as the Oppo Find X and Vivo NEX. The device is powered by Huawei’s newest flagship chipset, the HiSilicon Kirin 980 that is made using the 7nm process. In China, the phone gets one 6GB RAM and two 8GB RAM variants, but we will have to wait to see which ones make it to India. The battery is massive too, a 4000mAh unit that gets 20W Super Charge technology. Honor claims that 30 minutes of charging the device will give it enough power for a full day. As mentioned earlier, the rear camera has two sensors, the primary being 48MP and the secondary being a Time of Flight (ToF) 3D sensor. 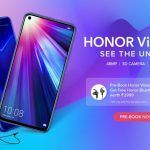 The standard model of the Honor View20 is priced CNY 2,999 in the brand’s home market. It comes with 6GB of RAM and 128GB of storage, and is more likely to make it to our country. There are two 8GB RAM variants too, one with 128GB storage, priced at CNY 3,499, and a special Moschino Edition with 256GB of storage priced at CNY 3,999. The Indian equivalent of these price tags would approximately be INR 30,500, INR 35,500, and INR 40,500 respectively. Usually, Chinese brands keep exclusive editions for home market, so we in India might get the two 128GB storage variants only.